Max Heald is an agent for British Intelligence. 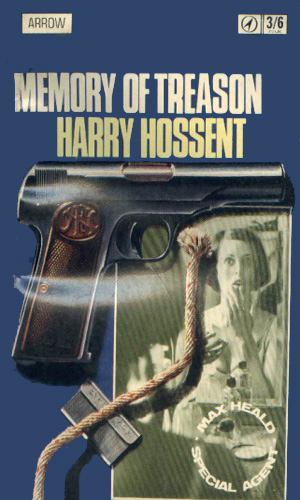 Heald works for a secret branch of British Intelligence under the strict control of Jonathan Mortimer. While there is a reasonable amount of respect between the two men, there is no doubt who is the boss. Still, Heald is not above thumbing his nose at the boss when he is riled and Mortimer wouldn't sway from sending Heald to his death if the mission called for it. Heald has been an agent for Mortimer for many years, probably starting to work for him during the Second World War operating behind the lines. When the War ended, Mortimer’s position in Intelligence transitioned to become a small, little known agency run by him from a nondescript office marked with a simple “Importer” sign on the door. Heald was one of those to go with him. Now, a decade and half later, Heald, certainly in his late 30s or early 40s, operates largely in Europe where his knowledge of languages, French, German, and Russian to name three, has made him able to blend in everywhere in that continent. He has been shot at and shot and he has shot back on many occasions. The biggest problem facing Heald within the Intelligence community is his wife, a fellow agent he married around five years ago and who, three years before the first book suddenly disappeared from England and showed up in Moscow soon after, revealing she had been a double agent for many years. Reeling from the betrayal while still in love with and deeply missing her, Heald expected to be released as a security risk but Mortimer kept him on. The principle opponent that Heald faces in his adventures is the Soviet Section 9 of the MVD, a division dedicated to the elimination of enemies. The return after three years of Max Heald's wife from behind the Iron Curtain where she fled after being discovered as a double agent is not what Heald was looking for. He knew he still loved her and he knew that her presence meant trouble. Especially since she came home with another defector that the Soviet now want to see dead. 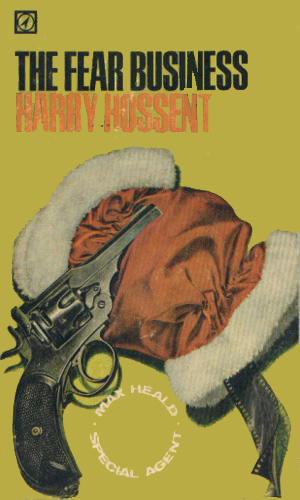 Max Heald is given an easy assignment which goes wrong almost from the beginning. His task is to go to Switzerland, meet up with a man, get a message he has to say, and bring it back to his boss. 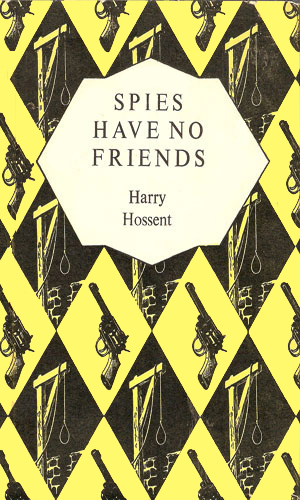 No mention was made of the Hungarian Secret Police that were determined to not let the meeting take place or Heald return to London with the message. 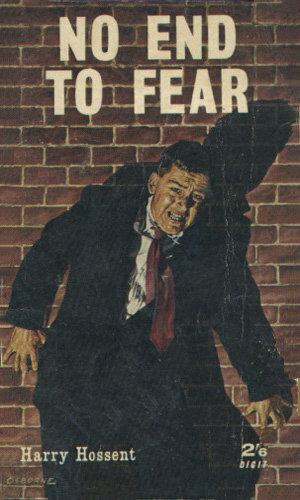 The death of an Englishman who had been a cat burglar before and after WWII and an agent during it, was not enough to attract the attention of Max Heald's department. The fact that he uttered in his final breath the name 'Martin Bormann', however, was. The people of Section Number Nine are doing everything they can to disrupt the bringing online of a new, vital radar facility. 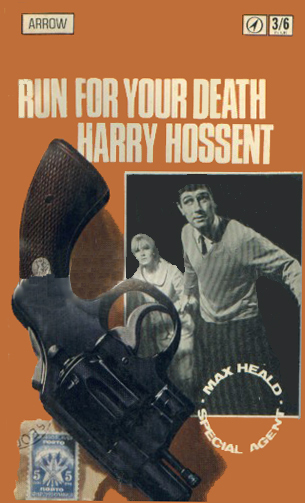 Max Heald is told to stop them at any cost. The task falls on Max Heald to find out how a noted British laser expert, convicted of espionage in the Soviet Union and serving time in Lubyanka, is unexplainably residing in Zagreb, Yugoslavia. As he heads there, Heald is shown that others are also interested, enough to kill. Seven words - 'something is going to happen in Bulgaria' - was enough for to send Max Heald to that Iron Curtain country to see what the something was. There he would have to take on the head of the Bulgarian Secret Police and endures the danger of brainwashing. There is nothing to really make this series stand out except that it is quite good. As strange as that sounds, it fits. Max Heald is not the perfect agent but he is highly competent. The writing is well done with a fast moving pace. The plots are reasonable and fairly compelling. 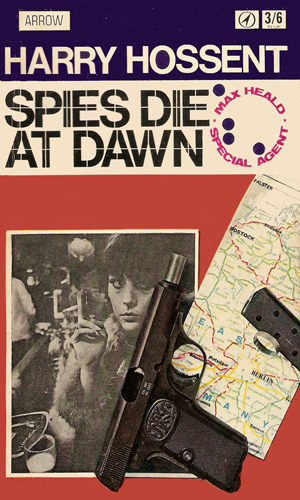 It is a relief to read about an intelligence agent like Max Heald. He isn't perfect though he is quite good. He is quite good looking but women don't swoon when he nears them. He's a rebel who is willing to disobey orders when the situation demands even as he remains a patriot. I like him.